Annotation: Take an active role in your child's education by providing a strong learning foundation for the school years ahead with Spectrum Learn with Me: Ready for School. 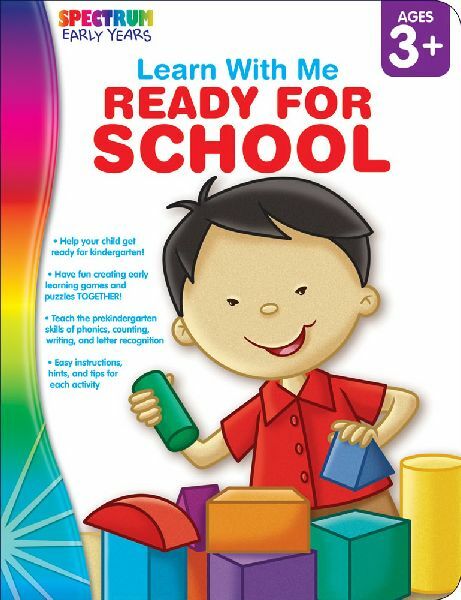 This invaluable activity book prepares children in all skill areas required for school success, and allows you to teach the prekindergarten skills of phonics, counting, writing, and letter recognition. It features 80 pages of activities with easy instructions, hints, and tips.